The IRS recently released a number of tax changes for 2018. We now know next year's tax brackets, standard deductions, retirement contribution limits, and several other key figures. However, with the White House and Congressional Republicans preparing for an all-out push to get tax reform done before the end of 2017, there's a strong possibility that many of these changes won't matter. Certain tax items are likely to stay the same, such as the deduction for retirement contributions. On the other hand, here are five things that could change dramatically if a tax reform bill passes. The IRS recently announced that the standard deduction is rising for 2018, to keep up with inflation. Married taxpayers are getting a deduction that's $300 higher, while singles will get half of that amount. There's a chance that if a tax reform bill passes, the standard deductions could be quite different from those in the chart. The GOP's tax framework calls for a standard deduction of $12,000 for single filers and $24,000 for married couples filing jointly -- nearly double the IRS's 2018 amounts. In addition, while it wasn't specifically mentioned in the outline of the GOP's tax agenda, President Trump has proposed eliminating the head of household filing status in previous tax plans. For 2018, the personal exemption is set to rise to $4,150, $100 higher than in 2017. This is an additional reduction of taxable income, and a personal exemption can be taken for each taxpayer and dependent on a return. For example, a married couple with two children can take four personal exemptions. Here's the bad news. The higher standard deductions are designed to consolidate the current standard deduction and the personal exemption into a single tax break. So the personal exemption would no longer apply, which could cause taxes to go up for many Americans. The framework calls for expanding tax benefits for families with children, but it's unclear what that means at this point. The IRS recently released its 2018 tax brackets, with slightly higher income thresholds than the 2017 version. The same seven marginal tax rates apply -- 10%, 15%, 25%, 28%, 33%, 35%, and 39.6%. Republicans aim to consolidate these brackets into just three, with marginal tax rates of 12%, 25%, and 35%, with the possibility of a fourth bracket for higher-earners. While we don't yet know the income ranges for the proposed tax brackets, it's fair to say that if tax reform passes, your tax structure could look significantly different than it does now. When Americans die, a certain amount of their estate is exempt from estate taxes. This is designed to make the estate tax apply to wealthy families only, as the excluded amount for 2018 is $5.6 million per person ($11.2 million per married couple), which is up by $110,000 from last year. In addition, the annual gift exclusion is rising from $14,000 to $15,000 per person, per year. Republicans have been trying to get rid of the estate tax for some time now, and the September 2017 GOP tax framework does call for the estate tax to be abolished. The alternative minimum tax, or AMT, is designed so that higher-income taxpayers pay their fair share of taxes, even if they have lots of deductions and tax credits. For 2018, the AMT exemptions will be $55,400 for single filers and $86,200 for married couples, up from $54,300 and $84,500, respectively, in 2017. 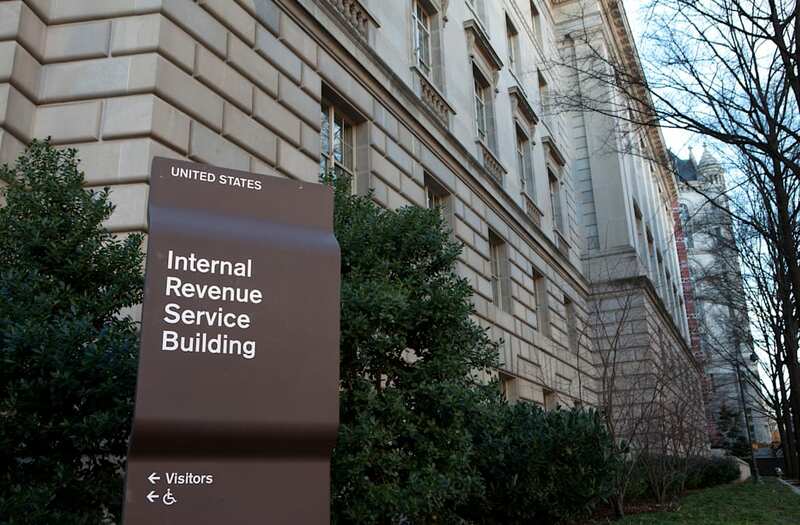 These exemptions begin to phase out for higher-income taxpayers. Republicans are generally opposed to the AMT, for two reasons. First, it adds complexity to the tax system, and Republicans want a simpler tax code. Second, many critics on both sides of the aisle acknowledge that the AMT affects significantly more middle-income taxpayers than it was originally intended to. The GOP tax framework has the AMT on the chopping block, so there's a possibility that this second method of calculating taxes will end up going away -- at least the current form of it. The 1040 family of tax forms is for federal income tax and is absolutely essential for all. Form 1040A is more comprehensive than 1040EZ, but simpler than the regular 1040. It's beneficial for those who earn less than $100,000 and don’t have self-employment income -- but who want to make adjustments to their taxable income, such as child tax credits or deductions for student-loan interest. Note that it doesn't allow for itemized deductions. Form 1040 is filled out by those who make $100,000 or more, have self-employment income or plan to itemize deductions. The W-2 is completed by employers document each employee's earnings for the calendar year. You will want to take a look at this tax form for important information you'll need to fill out your 1040, 1040A or 1040EZ. The 1099 series is reports all income that isn’t salary, wages or tips, and must be reported on both the state and federal level. 1099-DIV reports dividends, distributions, capital gains and federal income tax withheld from investment accounts, including mutual fund accounts. 1099-INT trakcs interest income earned on investments. 1099-OID (Original Issue Discount) is provided if you received more than the stated redemption price on maturing bonds. 1099-MISC documents self-employment earnings, as well as miscellaneous income such as royalties, commissions or rents. It covers all non-employee income that is not derived from investments. If you receive a refund that you're unable to pay in full, you can request a monthly installment plan using Form 9465. Don't forget to notify the IRS if you move! Use Form 8822 to change your address with the Internal Revenue Service. Otherwise, notices, refunds paid with a paper check and other correspondence relating to your personal, gift and estate taxes will be sent to your former address. Anyone who has been employed by a company has completed a Form W-9. The W-9 is used by employers for payroll purposes -- and the information on the W-9 is used to prepare employee paychecks during the year and W-2 forms at the end of the year. The W-4 is an IRS form completed for employers know how much money to withhold from your paycheck for federal taxes. Accurately completing your W-4 can both ensure you don't have a big balance due at tax time and also prevent you from overpaying your taxes. So, how should you plan for 2018? We know what the IRS's tax changes for 2018 are, but many of the changes won't matter if a tax reform bill is passed. And not only do we not know whether a tax reform bill will pass this year, but we also don't know what it would look like beyond the loose guidelines revealed in the GOP tax framework. For the time being, the wise thing to do is to expect that the 2018 changes discussed here will be implemented, and if a tax reform or tax-cut bill passes, make adjustments accordingly.